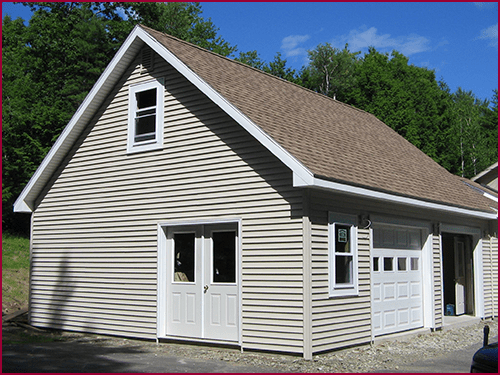 Garage Door Installation in Benton, ME | Stevens Siding & Window Co.
Is your garage door original to your home? Is it old and made of a heavy material? If you are looking for a new garage door in addition to other home improvements in Central Maine, consider calling Stevens Siding & Window Co. We can install a new garage door when we are at your home making other repairs or improvements. Whether you are getting a new roof and find your garage door no longer matches, or you simply want to modernize your garage when you are bringing the rest of your home into a modern style, our team of experts can help you choose the perfect garage door design and install it for you. For more information, contact us or stop by our showroom: (207) 453-8346. When you are upgrading your siding, you may consider getting a new garage door to match, especially if you are changing the color and style of your siding. We can help you choose the garage door that is perfect for your tastes. Our team trusts Clopay® garage doors for our customers, due to Clopay’s variety of styles, colors, and materials. With Clopay’s wide variety of customized garage doors available, we can help you find a door that matches your personal style and that also will match your home’s exterior. 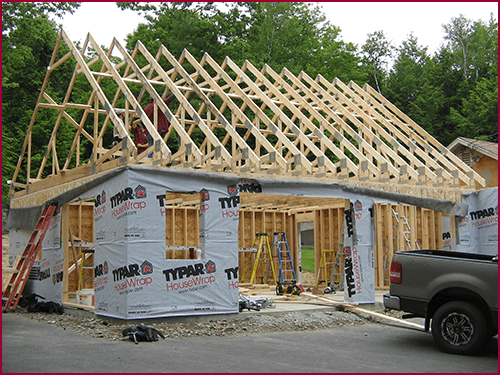 We Can Even Build You a New Garage! Stevens Siding & Window Co. is here for you when you want to build a new garage. If your garage is too old, you need more space, or maybe you do not have a garage and would like one, call us! Our team has over 30 years of experience building garages of all sizes. Whether you need a one-car garage, or you need space for three cars and a workspace, we can build the perfect garage for you. We will even match your garage’s look and style to your home or existing garage or shed. Give us a call for a no-obligation, free estimate on our garage door services: (207) 453-8346.